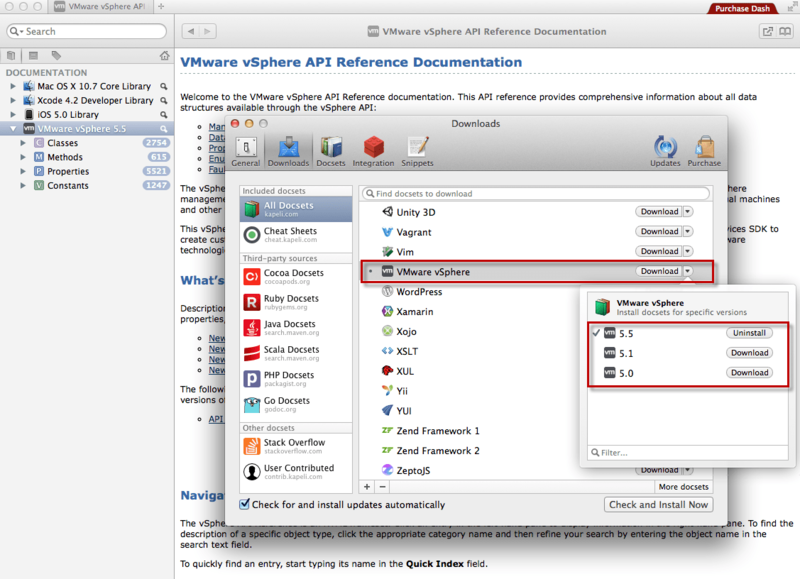 As a frequent consumer of the vSphere API, a must have bookmark for all my systems (work/personal) is the vSphere API Reference document. In my opinion, This is a must have for anyone that is serious about vSphere Automation and having it be an online document, it allows you to quickly search for a specific property or method. The problem with an online document of course is that if you are not connected to the internet, you will not have access to it. VMware does provides an offline version for viewing which is bundled within the vSphere Management SDK. This morning when I woke up, I was going through the list of sites that I read on a regular basis such as Y Hacker News and the top entry at the moment was "Dash - Beautiful instance offline docs for almost everything". I quickly realized this was not the first time I had heard of this tool, my good friend Timo Sugliani had actually introduced me to Dash a couple months back and he even mentioned it might be possible to view the vSphere API documents. After installing Dash, I did not see the vSphere API docs from what I recall and I just never had time to play with it again. I figure it has been awhile, maybe I should give it another try? I updated Dash this morning to latest version and noticed that the vSphere API documentation is now available and covers vSphere 5.0, 5.1 and 5.5. Once you have downloaded the specific vSphere API documentation, you can then quickly browse or search through the different class objects, methods, properties and enumeration values. You can see from the screenshot below, it will automatically search through all your documentation include online searches on such as Google and Stack Overflow which I thought was pretty neat. In addition to being able to easily view the vSphere API documentation offline, but you can also view other types of API documentation. Dash currently supports over 290+ documentation sets and you can even create your own doc sets and contribute them back to Dash. The other neat thing about Dash which I have not tried yet is the plugin integration with popular IDEs like Sublime, Textmate, Eclipse to just name a few. The only downside I see at the moment is that Dash is only for Mac OSX, but it looks like there might be plans to support a Windows version later this year. 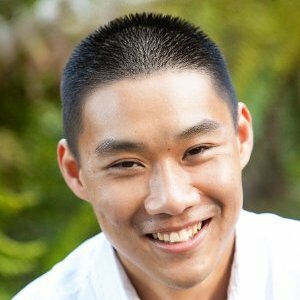 If you work with a lot of API documentation, Dash might be something you may want to check out. I know I will start leveraging it when I am offline.